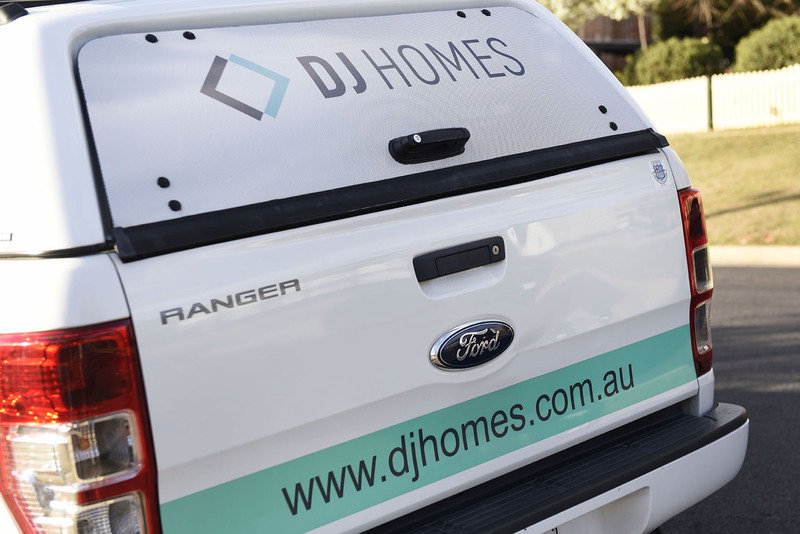 The scope of work for this project was to supply and install vehicle graphics to multiple utes for the DJ Homes team. Our brief was to simply create eye catching yet simple signs. 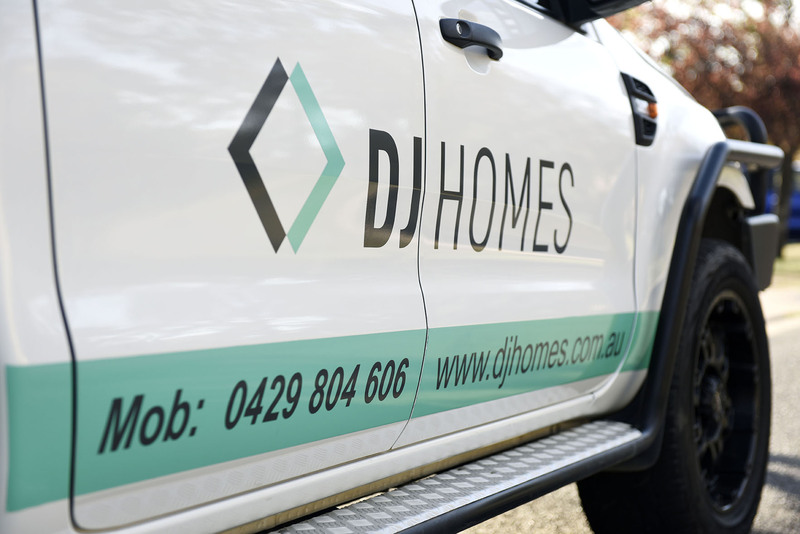 The DJ Homes team supplied their logo to us and from their our signwriters designed a mockup of what the graphics would look like. The graphics were positioned on both sides of the ute and on the back window. Our client was happy with the end result because we stayed true to the brief and had the work completed by their deadline.